Lock in a great price for Fairfield Inn by Marriott Denver / Westminster – rated 8.5 by recent guests! Efficient staff. Very clean room. No worry about there having been dogs staying in our room prior to us being there. The sink area is too small. Should be big enough to accommodate 2 people. The accommodations are quite nice. The rooms are clean and quite sufficient for anything from a night stay to a week . The beds are most comfortable. The room and beds were comfortable and the staff were very courteous. The room was great with comfy bed and pillows. Clean and nice bathroom. The only thing I liked was the gentleman at the desk when we checked out. The desk clerk when I checked in could not have been better. I was upgraded due to heavy booking, so my room was even nicer than expected. The room was spotless. The pool area is under reconstruction, which was a bit of a let down, but the hotel site did mention there were areas in the process of being updated. Breakfast was wonderful, with attention to detail. There was an attendant who kept everything refilled, and assisted guests. Will not hesitate to stay here next year for my annual event! What I liked about the hotel was the staff, how clean the room was and he location. 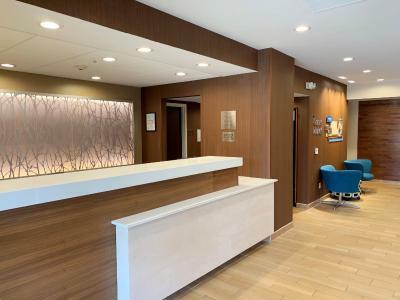 Fairfield Inn by Marriott Denver / Westminster This rating is a reflection of how the property compares to the industry standard when it comes to price, facilities and services available. It's based on a self-evaluation by the property. Use this rating to help choose your stay! Fairfield Inn by Marriott Denver / Westminster, 5 miles from Water World, features rooms with free Wi-Fi and 32-inch flat-screen TVs with HBO. It offers an indoor pool, hot tub and spa. The spacious guest rooms provide seating areas and desks. They are equipped with coffee makers, hairdryers and ironing facilities. 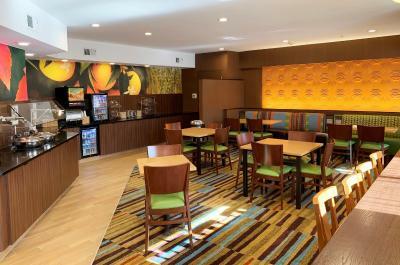 Guests at Denver / Westminster Fairfield Inn have access to a gym and business center. It serves breakfast. 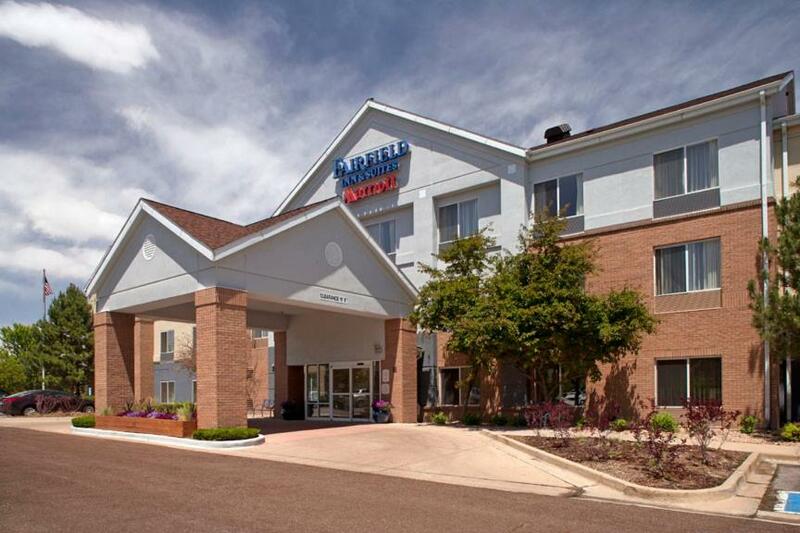 Fairfield Inn by Marriott is within 7 miles of Rocky Mountain Metropolitan Airport and Westminster Mall. It is within 12 miles of Elitch Gardens and is 14 miles from Denver Zoo. This property is also rated for the best value in Westminster! Guests are getting more for their money when compared to other properties in this city. When would you like to stay at Fairfield Inn by Marriott Denver / Westminster? A flat-screen cable TV and tea and coffee-making facilities are included. This room has a sofa bed and a refrigerator. This room has a refrigerator and microwave. A flat-screen cable TV is featured in this room. A microwave, small fridge, and coffee-making facilities are included. 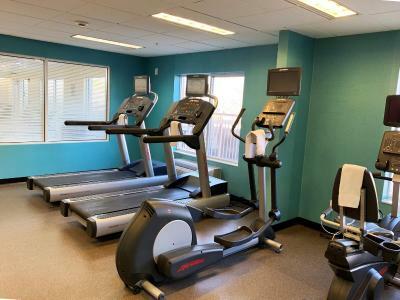 Fairfield Inn Denver North/Westminster is just 10 miles from downtown Denver and offers spacious rooms, Flat Panel TV's, indoor heated pool, and fitness center. House Rules Fairfield Inn by Marriott Denver / Westminster takes special requests – add in the next step! Fairfield Inn by Marriott Denver &#47; Westminster accepts these cards and reserves the right to temporarily hold an amount prior to arrival. Fairfield Inn by Marriott Denver / Westminster accepts these cards and reserves the right to temporarily hold an amount prior to arrival. Pool was out of order!!! No weird smells such as carpet cleaner. It is a very good hotel in the great Denver area. We chose it because it it relatively near to the new Denver Premium Outlets. The staff was friendly and the facilities are very well maintained. Rooms were very clean, beds were comfortable, bathroom was good. Breakfast was above average. There are a few dining options very close to it. Would definitely recommend it. Would be nice if they would upgrade Bed and pillows. A bigger chair in the room to relax. in. Bed and pillows were comfortable. Employees very friendly, polite and room was great.